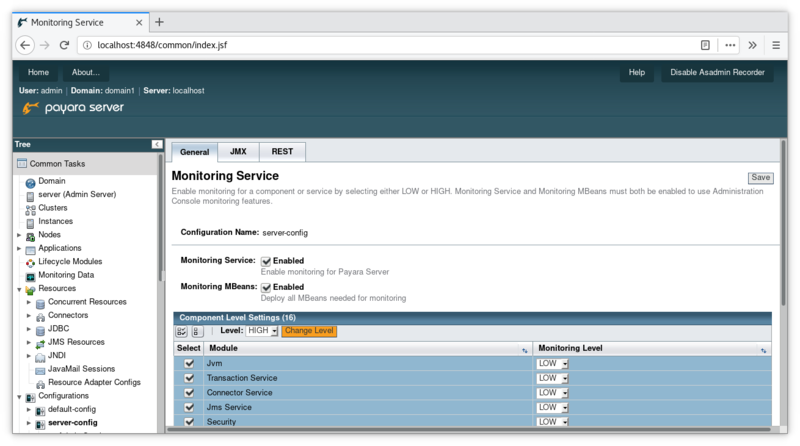 Previously in GlassFish and Payara Server, if you wanted to monitor the status of your application's MBeans, you would have to rely mostly on external programs to capture the data. 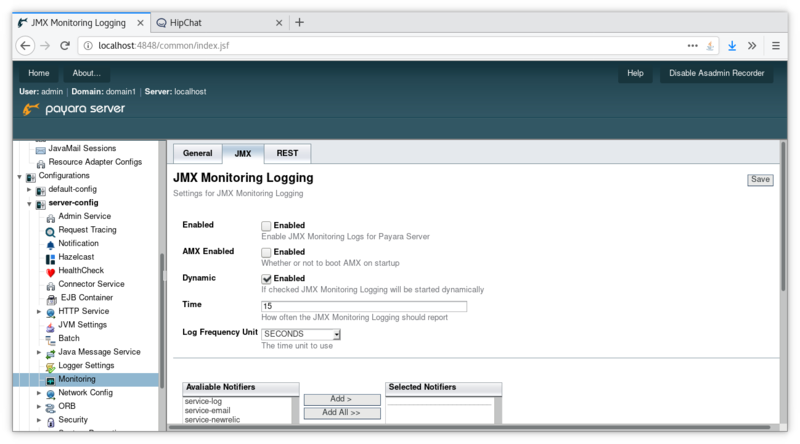 In Payara Server 174, we integrated the JMX Monitoring service with our existing notification service, meaning that you can now remotely receive monitoring data via any of our notifiers, from email to Slack. 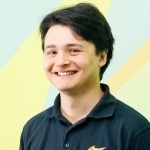 In this blog I will look at enabling JMX Monitoring for the JVM Heap Size and then monitoring the MBean `java.lang:type=memory`, UsedHeapSize. 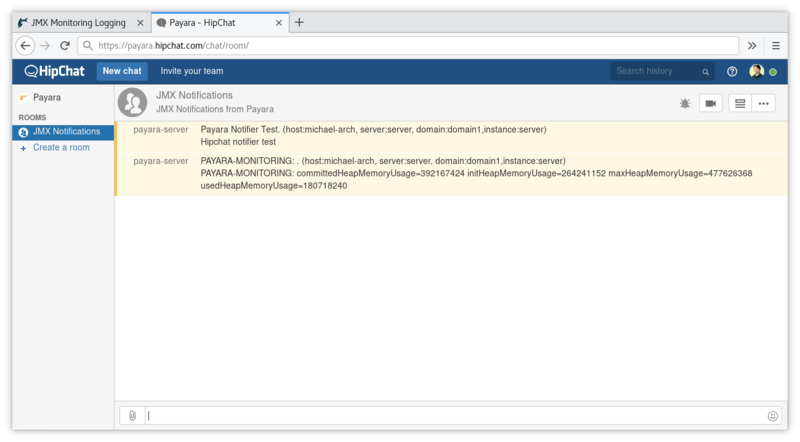 For a full list of MBeans available within Payara Server, see the documentation. 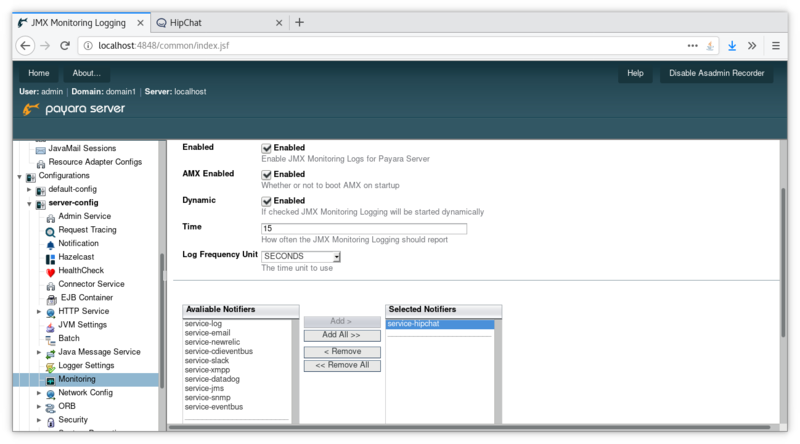 If you don't already have it enabled, the monitoring service can be started by using asadmin commands or via the admin console. 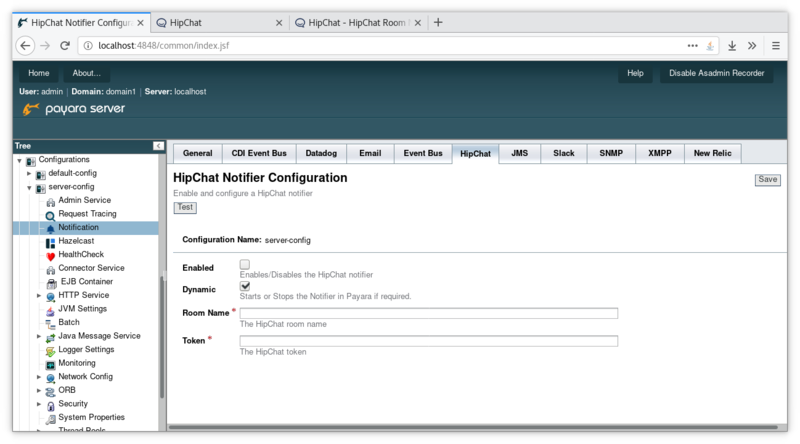 For my notifier I will be using Hipchat, but any of the notifiers within the Notification section will work for pushing monitoring, healthcheck, and request-tracing data. 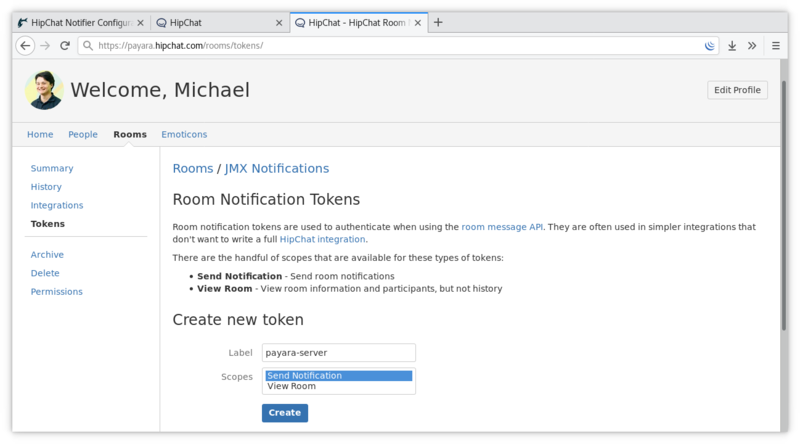 To activate the Hipchat notifier, you will need to get a room notification token from Hipchat. In another tab I have opened the Hipchat account settings and opened my room settings from the Room page. 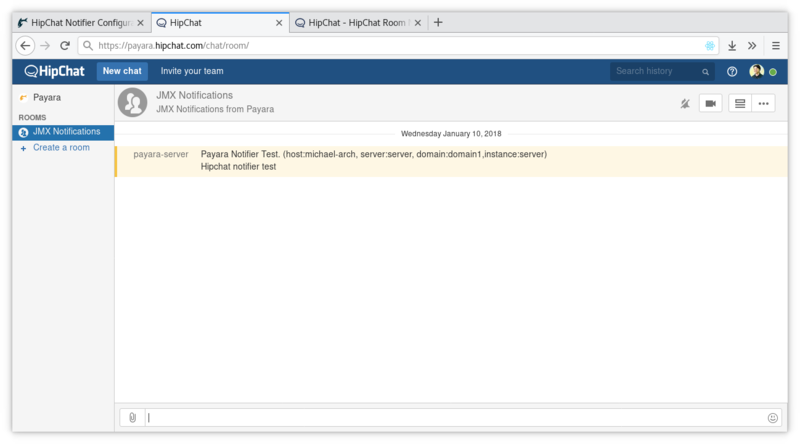 Here you can create the token which will allow you to authenticate to Hipchat from Payara Server. The label should be something sensible, as messages sent using this token will appear as if the label had sent them. Finally, if you scroll down on this page you will see a table titled "Monitored Attributes". This is where we will add the MBean data which we want to track. 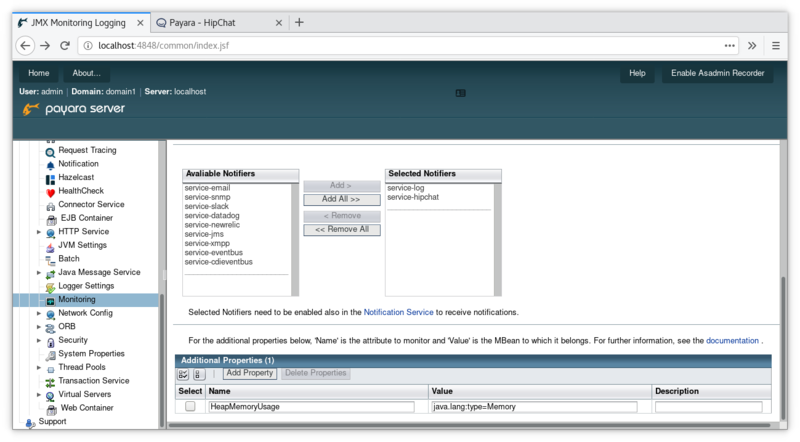 For further information on the MBeans available by default within Payara Server, see the documentation.